A handy travel item with a funky hip-flask design, the PowerFlask can generate a stomping 13000mAh of power to prevent your gadgetry from flat-lining. Fits easily in your bags or pockets, boasts rechargeable lithium battery and comes with two 30 pin iGadget connectors, USB cables and adapters and a powerful in-built LED torch. 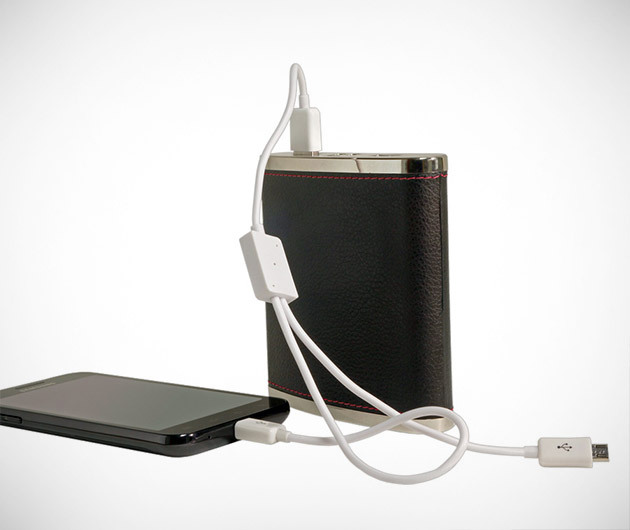 Best of all, it can even charge three devices at once.